Waterfall is a new gated luxury home community on Hwy 90, near the 31 bypass. Just looking at the entrance of this group of homes is enough to tell you they are exclusive and offer a ton of upscale extras. This is a brand new neighborhood, so there are many new construction homes and homesites for sale as well. Choose your floorplan, colors, and make your home everything you want in a perfect lifestyle. The homes are large, brick or stone. Sizes are three to five bedrooms, with expansive lots and landscaped streets to make the most of the Lowcountry natural settings. Residents enjoy a community pool, amenity center with fitness center, and the security and privacy that a full gated neighborhood offers. 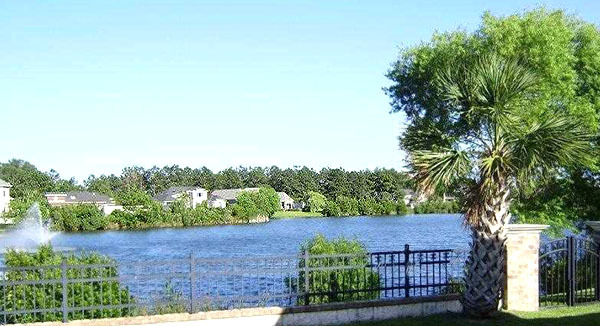 The homes are situated on a private 8 1/2 acre stocked lake, and many offer water views that offer tranquility and inspiration that only a home on the water can bring. The lake has a boat ramp and dock, and you can enjoy yourself ON the water as well as seeing it! Access to the new Carolina Bays Parkway makes North Myrtle Beach just a few minutes away, and the new NMB Sports Complex is also just around the corner. Definitely, a neighborhood to consider for the best in beach living, Prices range from around $300,000 up to $700,000, depending on lot size, home size, and location on the lake. Waterfall is also outside the city limits, so the property taxes are extra low too! Call us for a tour and let us show you this great exclusive community. Listing courtesy of Brown Development LLC , david Brown. Listing courtesy of CENTURY 21 Broadhurst & Associ , Mary Lou Tortorete.